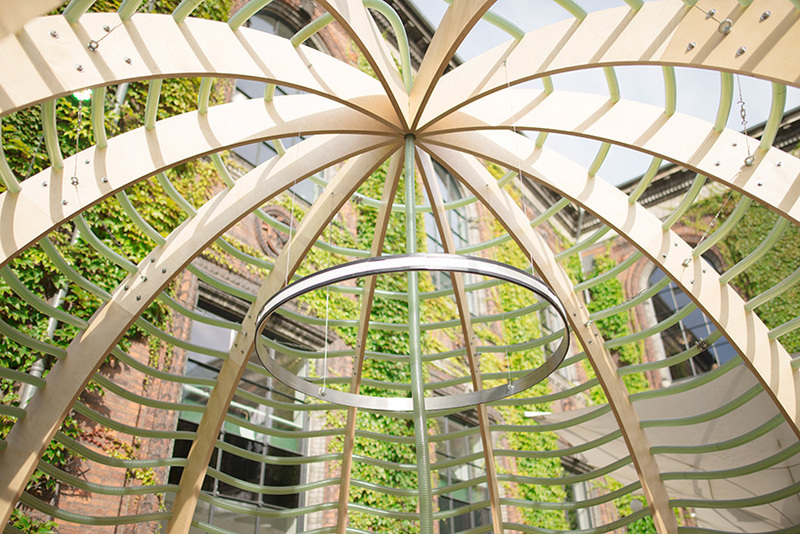 SPACE10, IKEA’s external innovation hub, is a future-living lab located at the heart of copenhagen, denmark. 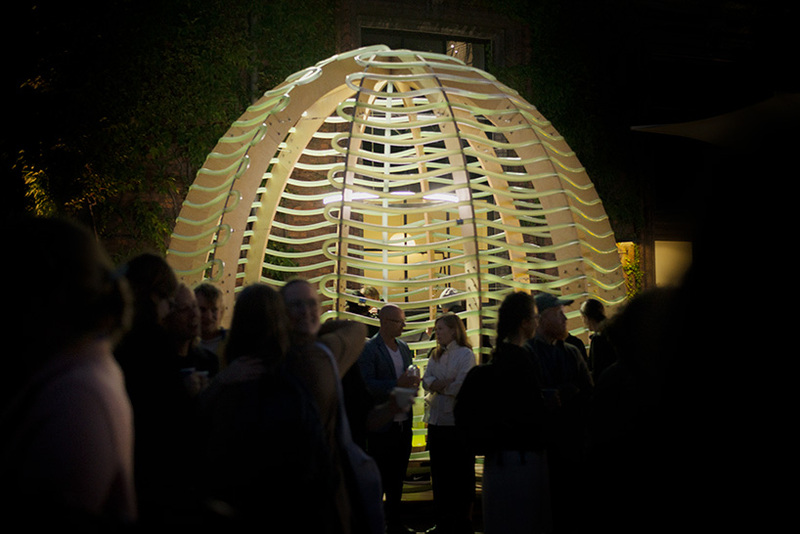 its purpose is to enable a better, more meaningful and sustainable life for as many people as possible. 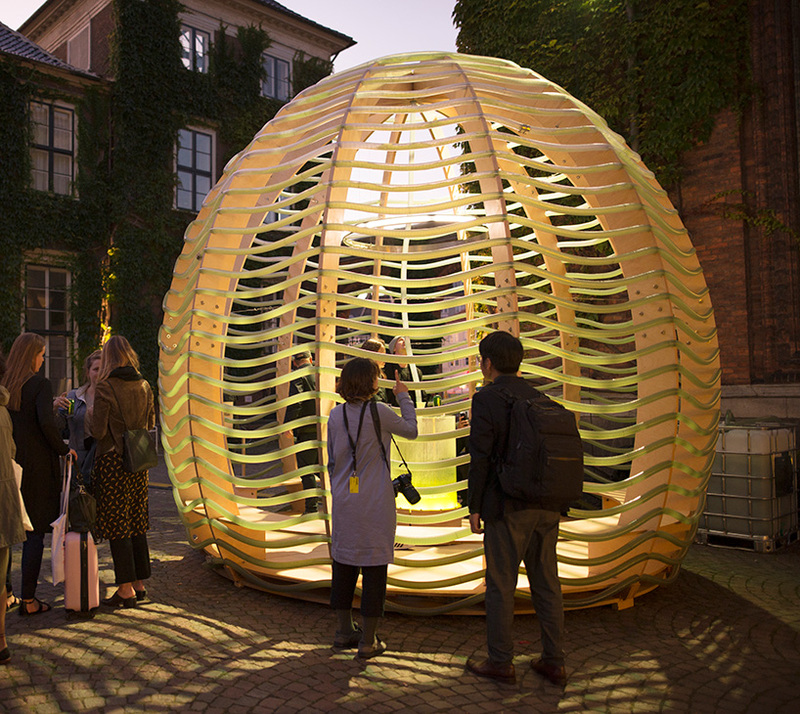 in denmark, SPACE10 — IKEA’s external future-living lab — has erected the ‘algae dome’, a four-meter-high pavilion capable of growing what could be ‘the supercrop of the future’. 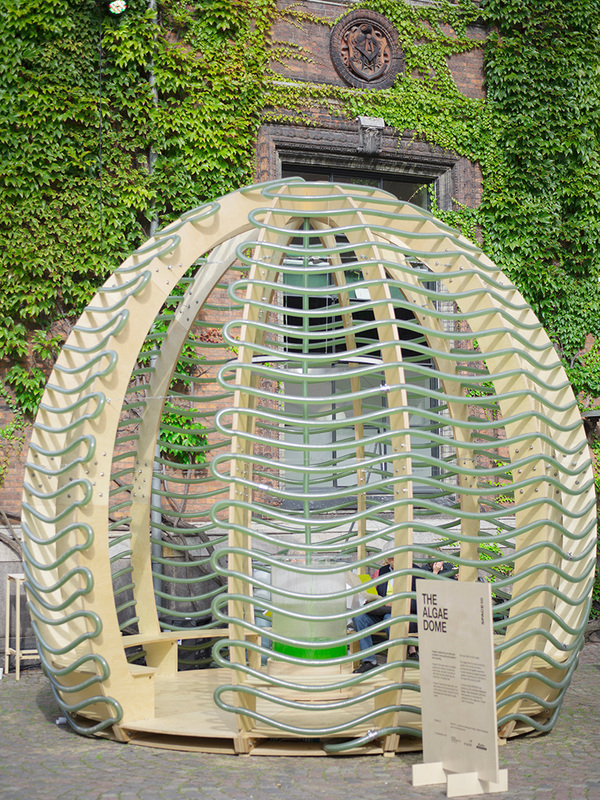 designed by architects aleksander wadas, rafal wroblewski, anna stempniewicz, and bioengineer keenan pinto, the food-producing structure houses a photo-bioreactor, a closed system that enables the high productivity of microalgae, microscopic algae that are typically found in freshwater and marine systems. 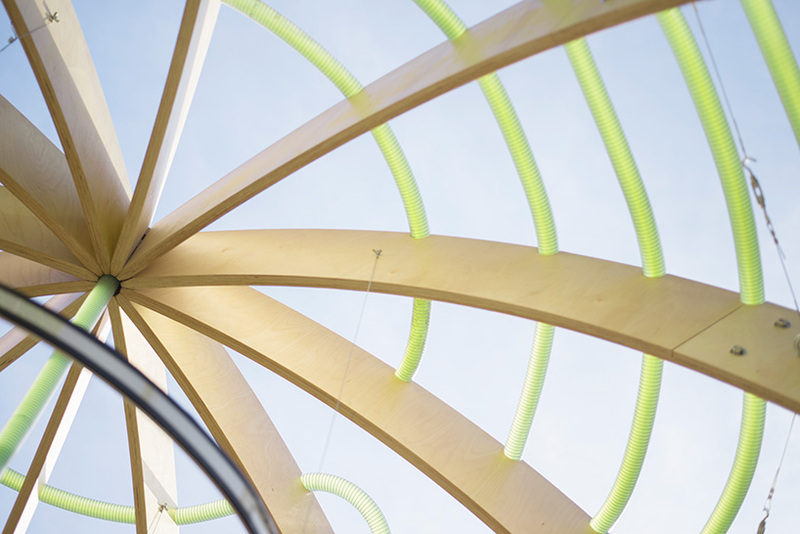 SPACE10’s scheme incorporates 320 meters of coiled tubing through which emerald green microalgae is able to flow. 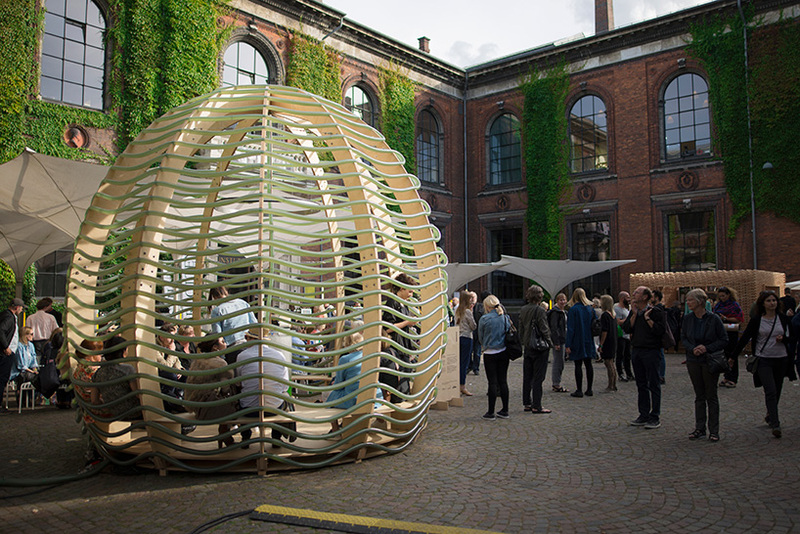 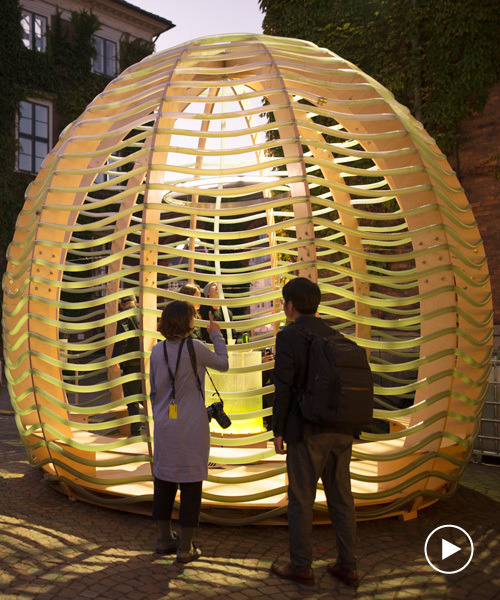 the project has been presented at copenhagen’s CHART art fair, where, thanks to some early-autumn sunshine in denmark, the dome was able to produce 450 liters of microalgae during three days. 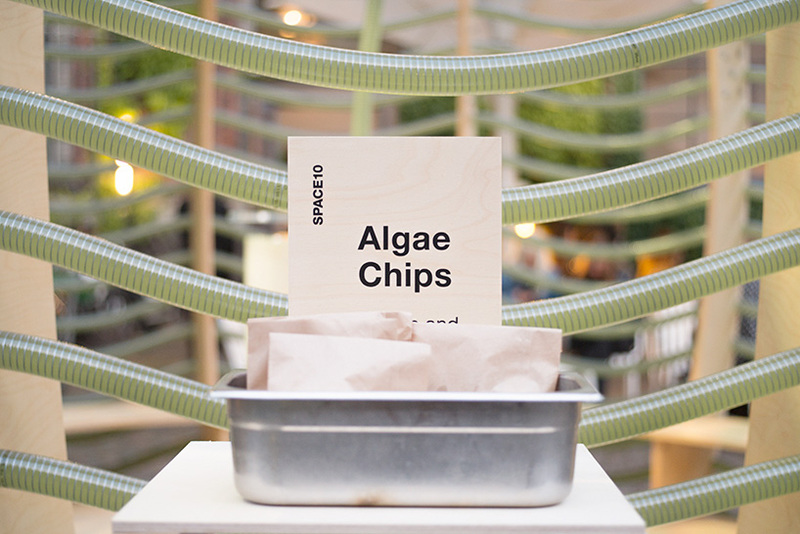 adding to the experience, visitors to the event could also taste spirulina chips developed by SPACE10’s chef-in-residence, simon perez. 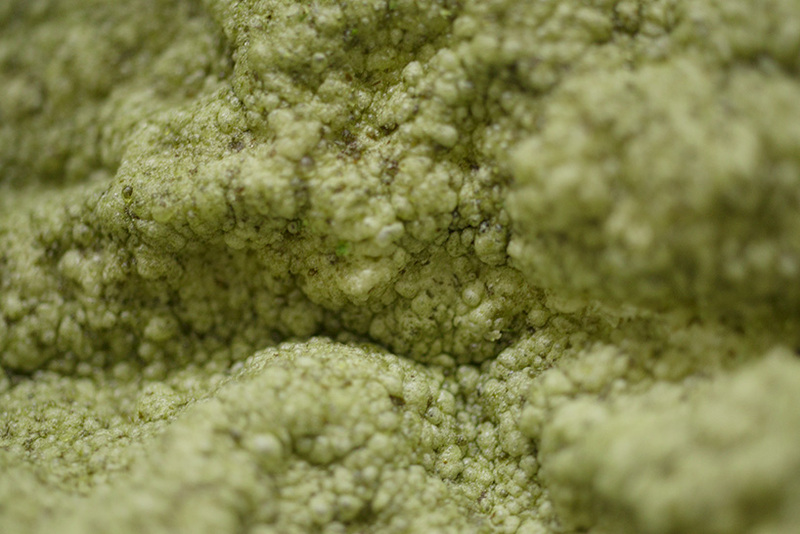 it is imagined that in the future, different species of microalgae could be used for a variety of purposes: as a form of nutrient-rich food; as a replacement for soy protein in animal feed; in the development of biofuels; as a way to reduce carbon dioxide and other greenhouse gases from the atmosphere; and as a method of treating industrial wastewater. 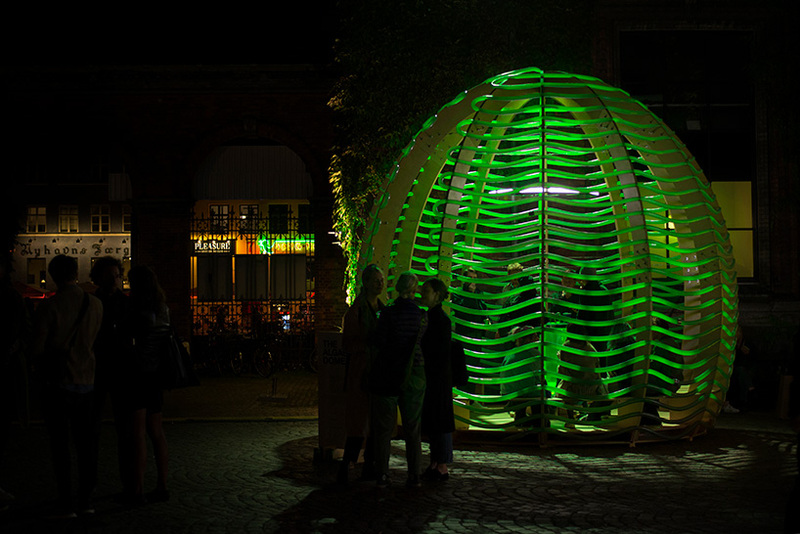 consequently, microalgae could help combat malnutrition, reduce dependence on fossil fuels, help stop the destruction of the rainforest, improve air quality, and reduce pollution. 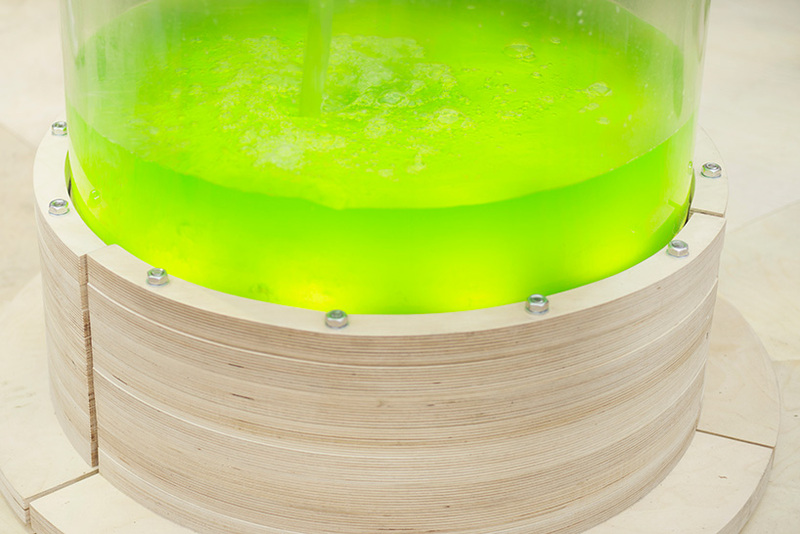 according to SPACE10, microalgae can grow anywhere in the world and can double in size each day. 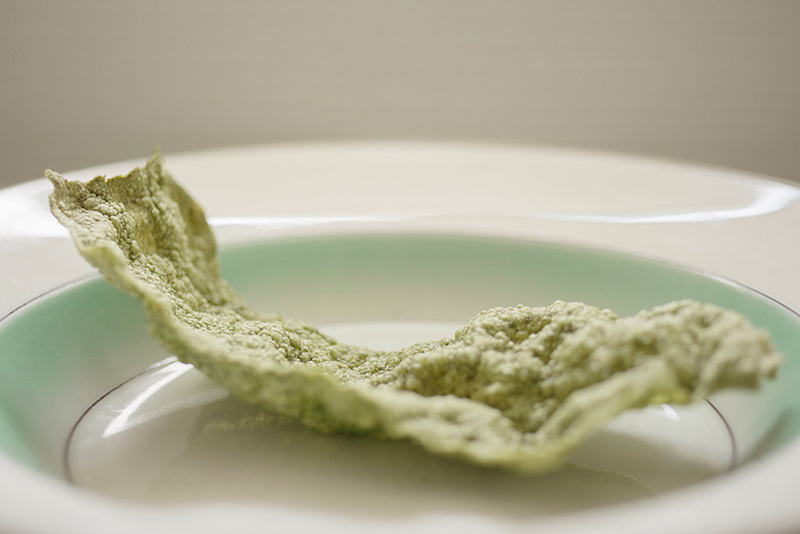 the crop provides 50 times more iron than spinach and more than twice as much protein as meat. 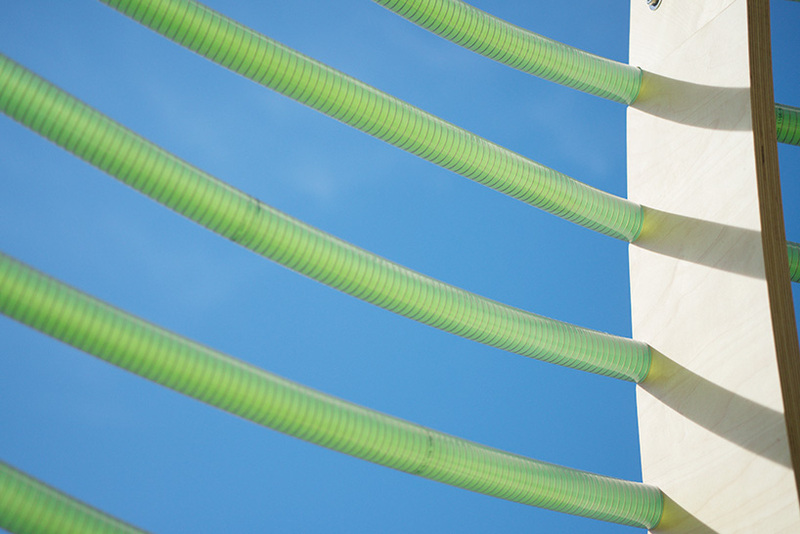 furthermore, instead of putting additional pressure on the environment, microalgae reduces greenhouse gases and improves local air quality.